Although Hong Kong authorities strongly insist that locals place bets through entirely legal methods such as gambling with the Hong Kong Jockey Club, it hasn’t put a stop to online sports betting as locals continue to search for better odds, broader markets, and more significant bonus offers internationally. Hong Kong authorities have done little to ‘block’ international bookmakers from entering the market. 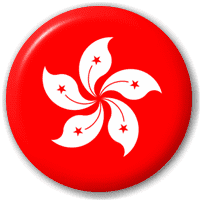 Online betting sites are accessible in Hong Kong, and international bookmakers continue to entice locals with excellent promotions for new members. Authorities are disinterested in prosecuting individual bettors and are, of course, actively chasing the ringleaders of underground casinos and gambling hubs instead. For many years the only legal betting available in Hong Kong was at horse racing tracks. This changed in the 1970s when off-track bookmakers were opened in response to the amount of illegal gambling taking place. These were run by the Hong Kong Jockey’s Club, a group who still control all regulated betting activities in the country. Although they started out as a racing bookmaker, they have since expanded their range of market to include football and basketball betting, as well as the enormously popular Mark Six lottery . The HKJC is a non-profit organization which is the largest taxpayer in the region as well as private charity contributor. It is run by volunteers and in addition to sports betting the HKJC organizes the horse races at the two Hong Kong tracks – Happy Valley and Sha Tin . The group also arranges charity events, dinners and social meet-ups for its estimated 23,000 members. This monopoly has led to a number of illegal operations opening up across Hong Kong. Police seized around $350 million HKD over the 2014 World Cup alone  after raiding land based operations run by gangs with the use of online betting sites. It addition to its land based operations, HKJC also has a monopoly for online betting in Hong Kong. Their site allows you to wager on horses, football and to buy lottery tickets. In 2002 the HKJC position was strengthened when it was made illegal both for offshore companies to offer their services in Hong Kong and for residents to place wagers with them. Under this new law, representatives from companies providing betting services to Hong Kong residents could face 7 years in prison along with a $5 million HKD fine, while locals found using these website could face up to 9 months imprisonment and a $30,000 HKD fine . As a result of these tough new laws, many international sportsbooks do not offer their services to customers in Hong Kong. However, as is the case in many regulated markets, there are still large number of companies who insist on flouting this law. In 2011 it was estimated that a third of all wagers on horse racing were placed on illegal betting sites . This, along with the high taxation the HKJC is subject to is seen as a very realistic threat to their operations, despite contributing over $1 billion HKD to the government and the same amount to charities each year. Currently gambling winnings are not subject to income tax in Hong Kong, although the HKJC is subject to high rates on its revenues. While there is speculation that taxes may be applied to individuals should the online market become relaxed, those using illegal foreign sites will still be able to withdraw tax free as there is no structure in place to charge winnings. Strictly speaking, it is illegal to wager online anywhere other than on the HKJC website. However, tens of thousands of Hong Kong sports fans ignore these laws by choosing to bet online with foreign bookies. Every site that accepts Hong Kong customers offers both English and Chinese language support. One thing to note is that not many of these sites accept Hong Kong Dollar currency, so you will have to convert your currency into US dollars, Chinese Yuan or Euros. Often the sites will do this for you by taking your deposit in HKD and converting it, which may leave you vulnerable to exchange rate fluctuations. A lot of Hong Kong banks and credit cards will not process transactions to international sportsbooks, however you may find some Visa and MasterCard transactions will go through, especially if the card has been issued by a company outside of Hong Kong. Failing that, online wallets like NETeller, Skrill or ClickandPay are good options. You can deposit money into these then transfer it around online as you like. These wallets can also be available in different currencies to HKD, which allows you to reduce currency exchanges if you are using several sites. Even with laws in place, as technology advances it becomes ever easier to access online sportsbooks either directly or via other countries. The fact that many locals prefer to use foreign bookies ahead of the HKJC has presented lawmakers with a new set of challenges. It seems likely that in the future our current laws will be relaxed, and our betting market opened up to foreign companies. However, given that the Hong Kong government has a lot more pressing issues at hand, we may not see any market regulation for a long time. Luckily, users in Hong Kong still have plenty of options to choose from.